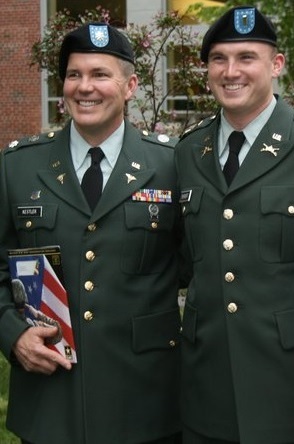 United States Army Reserve Colonel Francis Kestler, DDS has over twenty-three years of commissioned military duty and has served in command positions in the United States, as well as Iraq and Afghanistan. Frank’s current assignment is as the Dental Consultant for the United States Army Reserve. As a veteran of both Operation Iraqi Freedom and Operation Enduring Freedom, Frank has earned an Iraq Campaign Medal with two service stars, an Afghanistan Campaign Medal with a service star, an Army Commendation Medal with four oak leaf clusters and an Army Achievement Medal with two oak leaf clusters. Frank has also been recognized with the Military Outstanding Volunteer Service Medal. He is a member of the American Dental Association, New York Dental Association, and Suffolk County Dental Association as well as the Military Officers Association of America and Reserve Officers Association. Frank is an Honorary Medical Officer with the FDNY. Frank graduated from the New York University College of Dentistry in 1987 after receiving his MBA from St. John’s University in 1983 and his BA from Catholic University in 1978. Originally from Flushing Queens, where he had a private practice from 1987 to 1998, he was an Assistant Forensic Deputy with the NYC Medical Examiner’s Office from 1990 to 1996. Frank now resides in Mattituck, New York where one of his two private dental practices is located; his other dental practice is on Shelter Island. Frank and his wife Chrys are the proud grandparents of Brooke and parents of Jackie, Billy, Frankie, Jimbo, Nick and, of course, Joe.